- The first book published on Zaha Hadid since her death in 2016, although book had been well into production. 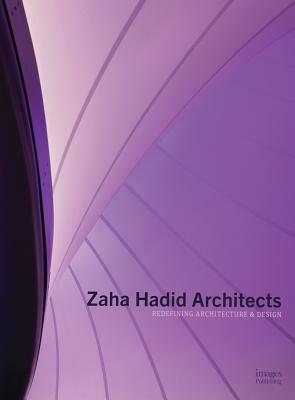 The firm continued to work with IMAGES to complete this detailed tome in her memory- This exquisite book harnesses the collaborative thinking and cultural philosophies behind Zaha Hadid Architects, and how the Zaha's influential approach results in award-winning, sophisticated and compelling design- Projects featured include national museums (plus the only permanent public museum exhibition anywhere in the world), world-renowned auditoriums, multi-residential towers and commercial developments, including the MAXXI: Italian National Museum of XXI Century Arts in Rome, the London Aquatics Centre for the 2012 Olympic Games, and the Heydar Aliyev Center in Baku--urban manifestos of Zaha Hadid's quest for complex, fluid spaces- Showcasing one of the world's leading architectural firms, this book is beautifully packaged and designed, and richly illustrated with insightful commentary from the firm- This book is a superb reference title for those in the architecture, urban planning and design industries Zaha Hadid's gift to the world was a creative genius that captured the collective imagination and influenced designers to challenge the perceived limits that were once imposed by both aesthetics and engineering. Her sudden death in 2016 shocked the global architecture community and the public alike, inspiring a commitment to maintain her passion to create built spaces and works that are as unique as they are endearing to a fascinated global following. Zaha Hadid Architects maintains its commitment to her ideals of fluidity, innovation, originality and organic progression. This practice is driven by the development of rigorous interfaces between natural topographies, human-made systems and innovative technologies that have resulted in almost 1000 landmark projects across the globe. With signature sophistication in the design, and superbly creative structures, Zaha Hadid led her firm to create transformative, cultural, corporate and residential spaces that entered into complete synchronicity with their surrounding environment. Inspired by the shared ideas and prominent for its breadth of practice, and beautifully packaged with detailed drawings, rich photography and insightful commentary, this exquisite book showcases and celebrates the intelligent design approach of the firm under the direction of one of the world's most extraordinary and iconic leaders in the fields of architecture, design and urbanism. Born in Baghdad, Iraq, Zaha Hadid (1950-2016) studied architecture in London and she became one of the most highly renowned and revered architects in the world. After founding Zaha Hadid Architects in 1979, Hadid continued to receive accolades for her highly sophisticated, signature projects, including the 2004 Pritzker Architecture Prize, the Stirling Prize in 2010 and 2011, and the 2016 Royal Gold Medal by the Royal Institute of British Architects. Hadid also held chairs and guest professorships at various universities worldwide, including Columbia, Harvard, Yale and the University of Applied Arts in Vienna. With almost 1000 projects across Asia, the Middle East, Europe and the Americas, Hadid's outstanding contribution to the architectural profession was acknowledged by the world's most respected institutions, having been recently included on Forbes' list of the 'World's Most Powerful Women'.